Gibberellic acid (GA) is a naturally occurring compound in a group of plant hormones called gib-berellins. GA application to table grape clusters may produce several responses. When it is applied to clusters early in their development, it may lengthen the cluster stem (rachis) to reduce cluster compactness. However, this response to GA application is often negated by the natural elongation of the cluster in a later stage of cluster development. Therefore, there is seldom a true cluster-loosening benefit from such early-season GA sprays. Efforts to use GA for this purpose should be evaluated carefully before it is adopted as a standard practice. Seeds cause an increase in the size of grape berries by producing growth-stimulating hormones including gibberellins. Therefore, seedless grape berries are typically small in their natural condition. GA sprays often dramatically increase the size of seedless grape berries, presumably because they partially substitute for the natural production of gibberellins from seeds. A spray of GA at midbloom not only may increase berry size but in some varieties can also reduce the number of berries that set per cluster. However, the optimum time for a single application of GA to increase berry size is often at fruit set, when the berries are 4 to 5 mm in diameter (Fig. 22). Commercial applications of GA to increase berry size often involve two or more applications after fruit set, but most of the berry-sizing benefit is obtained by a single application. Trial applications of GA to seedless varieties without a history of GA use should be timed at fruit set (Fig. 22). A concentration of 50 ppm is often effective, but only 25 ppm should be used on 'Vanessa' and as little as 5 ppm is considered optimum for some varieties. Growers will often greatly benefit from the use of GA on many seedless table grape varieties, including 'Himrod', 'Lakemont', 'Vanessa', 'Glenora' and 'Reliance'. Avoid GA use on 'Canadice', 'Mars' and 'Marquis'. Consult the product label for details of application. Sources of GA are listed in Appendix B.
GA applications may also have negative effects on grapevines, including excessive reduction of the number of berries per cluster, the production of grassy or herbaceous flavors in the fruit, a reduction in tissue winter hardiness and a reduction in node fruitfulness. 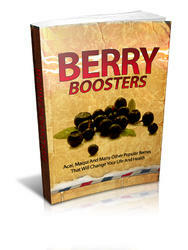 These phytotoxic effects of GA tend to become more pronounced as the seeded condition of the berry increases. Therefore, avoid GA sprays on seeded table grape varieties. Gibberellic acid solutions have been successfully applied to some seeded table grape varieties as a cluster dip. For example, there is significant commercial production of seedless Delaware grapes in Japan. They are produced by individually dipping clusters in a GA solution at bloom. Trials of GA on seeded table grape varieties are more likely to be successful as a cluster dip rather than as a spray. What to spray on grapes to prevent insect? When to spray giberillic acid for table grapes? What spray to use on seedless grapes? What are the advantages of using GA on table grape production? When to apply gibberellic acid to grape clusters? How to use giberellic acid for grape vines? 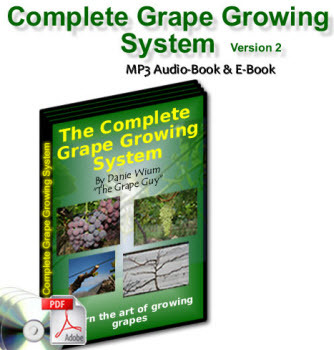 How much ppm gibberillic acid for seedless grape growth? When to apply giberillic acid for table grapes? How to use gibereric acid for grapes? How to use gibberellic acid on grapes? When can you spray giberellic acid? How do you apply gibberalic acid to table grapes? Which product is good in grape dipping with gibberellic acid? How do you apply gibberellic acid to grapes? Which hormone used for seedless grape? What is ppm in grapes farming? How to use gibberellic acid on victoria grape? When appli ga3 on grape? Which hormon increase size of grap bunch? Which hormone used increase the no and size of grape in bunch? How to ga3 application on grape? How prepare gibralic acid solution in grape? What is berry set on grapes? Does bronco wine use gebrillic acid on their grapes? How to use Gibberellic Acid (GA3) for grapes? Is it good to spray gobberllic acid spray on watermelon? How much gibberellic aid in water for grapes? How does gibberellin cause seedless grapes?